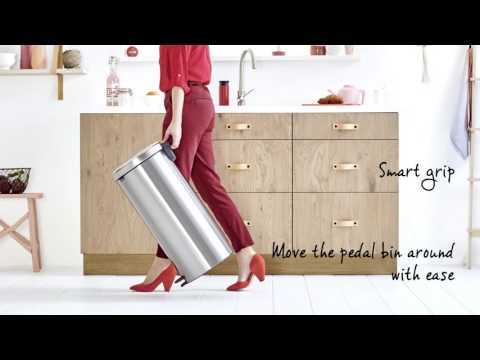 This tall pedal bin from Brabantia is perfect for large families, or just those who make a lot of rubbish! It has a sleek design, available in four finishes, making it perfect for tucking discretely into the corner of your room. The lid features a soft closure lid, and the super light pedal makes the bin easy to use. The newIcon also features an internal bucket (this time it's a sturdy metal for everyday use) that helps to hide your bin liner whilst making it easy to clean.